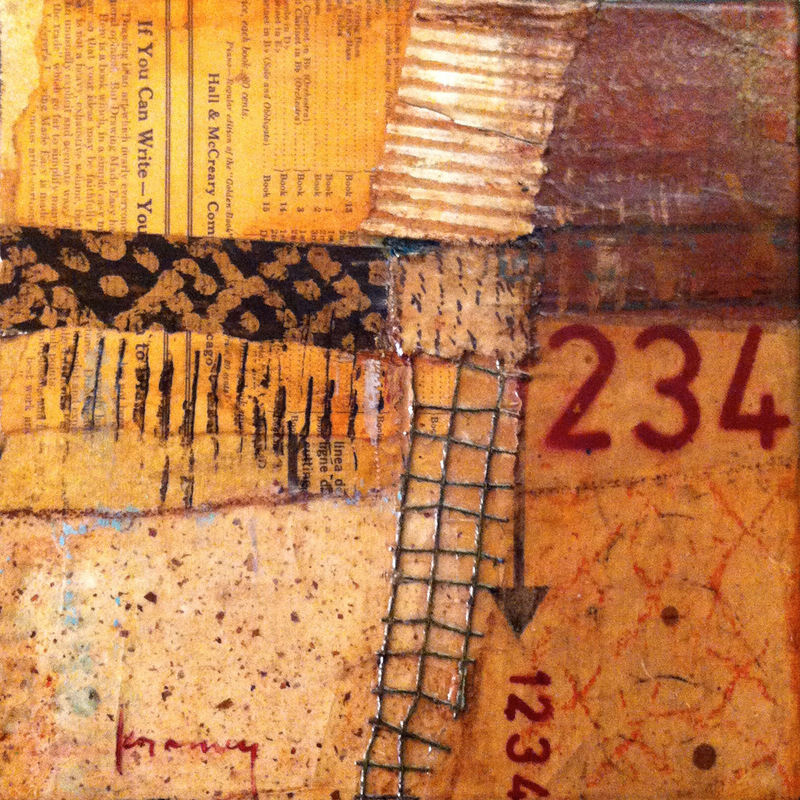 This small mixed media piece was created with vintage papers, hand made papers, ink, and acrylics on an 8 inch square canvas with 1.5 inch sides that have been painted black. It is highly textured and has been top coated with a clear matte finish that has a tiny bit of sheen. The color palette is made up of coppers and browns and creams. Love these colors! Yum! The inspiration for this piece is the book leaf that is used in the upper left portion of the piece. It states: “If you can write, you can draw.” which makes me laugh.